Pasco deputies said the man grabbed a cell phone out of his mother's hand and hung up on 911 dispatchers. PORT RICHEY, Fla. — A Port Richey man was arrested Monday after deputies say he threw a pizza slice at his mom during an argument, then ran from police. 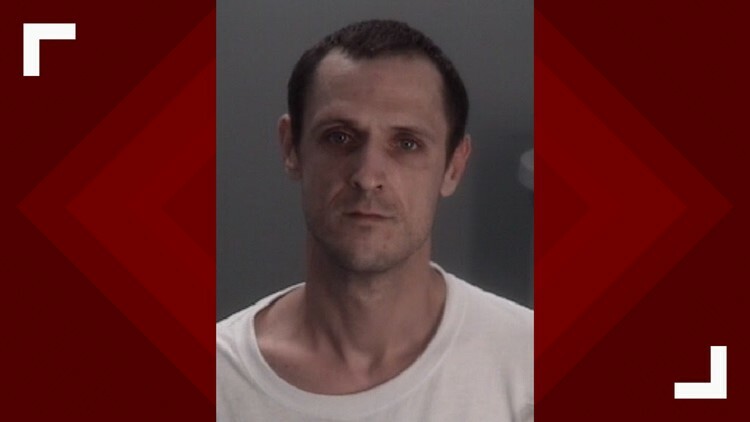 The Pasco County Sheriff's Office said Michael Stempel, 37, got into an argument with his mother, and his mother asked him to leave her house. Deputies said Stempel told his mother she would have to call "the cops" to remove him. When the victim took her cellphone to call 911 and talk to the dispatcher, deputies say Stempel grabbed the phone out of her hand and hung up. Stempel then threw a slice of pizza at his mother, hitting her in the stomach, deputies say. Deputies say they found Stempel at Lake Lisa Park, where he ran away from them. Stempel eventually stopped running and put his hands behind his back. Deputies say Stempel denied the allegations and said his mother is a liar. Stempel was charged with domestic battery, tampering with a victim and resisting without violence.